We have installed two very easy to use terminals for your convenience to donate funds to the Masjid and the first terminal is in the Men’s Lobby & the other one is in the Ladies’ Lobby so please donate generously. 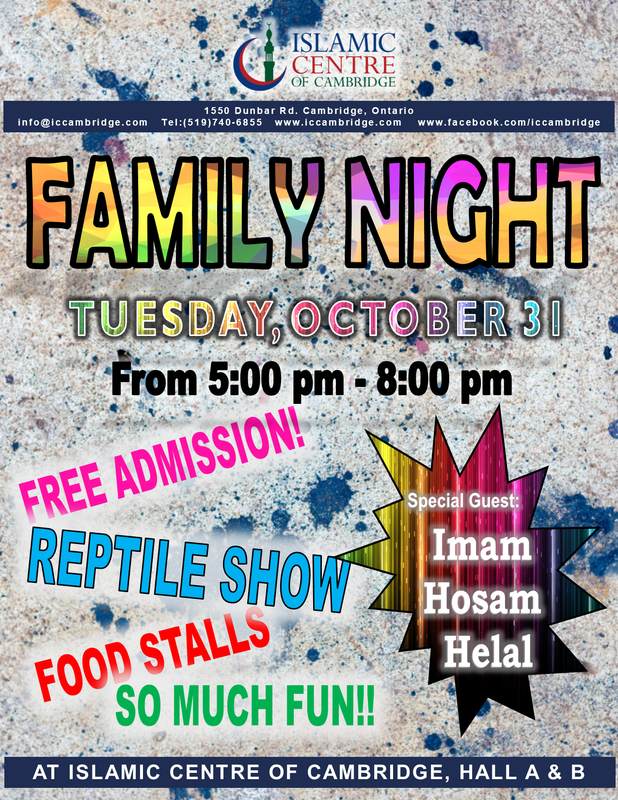 ICC is organizing "Family Night" on Tuesday 31-October, 2017 from 5:00 PM to 8:00 PM and we have a guest speaker Imam Hosam Helal to deliver a speech so please come & join us for many activities and food. ICC is organizing it's "Annual Fundraising Dinner" on Saturday 25-November, 2017 at 5:00 PM and Shaikh Alaa Elsayed will be here to deliver a speech so please come & join us. Milad-un-Nabi will be held on Saturday 09-December, 2017 at ICC 1:30 PM to 5:00 PM and dinner will be served after Maghrib prayer. Please do not park your Vehicles at the Armenian Centre, unless announced by the ICC. ICC is organizing "Family Night" on Tuesday 31-October, 2017 from 5:00 PM to 8:00 PM so please come & join us for many activities and food. ICC is organizing "Fundraising Dinner" on Saturday 25-November, 2017 at 5:00 PM and Shaikh Alaa Elsayed will be here to deliver a speech so please come & join us. The YMCA Women Group is offering another interesting workshop for Sisters here at the ICC Every Thursday from 10:00 AM to 12:00 PM so please come and join.